We have sold several houses in Lions Bay over the years, but we stayed put so long this time our realtor had retired! A friend recommended you and we are so glad she did. Our listing and sale were handled with professionalism and your advice along the way was appreciated. We also appreciate the extra things you have helped with as a courtesy in your role as notary. Lions Bay is lucky to have you as both a realtor, notary and owner of the store! "My husband and I recently purchased a two-bedroom condo in Port Moody as well as a condo in Vancouver (West End.) We were so thankful to have Craig Doherty as our realtor to help and guide us through this process. Purchasing one property at a realistic price in this incredibly hot market is no easy feat, but Craig was able to help us purchase two condos, one at list price, and one just below list price. His patient and realistic approach enabled us to stick to our goals, and not get caught up in the craziness of the market. He was prepared to write as many offers as it took to find the right place at the right price. Craig was trustworthy and professional throughout the process, both when advising us, and when negotiating on our behalf. His background as a lawyer gave us confidence in knowing that we had all our bases covered when completing the paperwork. Craig is a great communicator and always kept us up to date on the progress of the market and any of our offers, and when it came down to the wire he was able to write offers quickly and confidently, so we did not miss out on any opportunities. In some cases he was doing this at 11pm at night to ensure that we were in the best possible position for our offer. "My wife and I had the pleasure of working with Craig in both the sale of our existing home and the subsequent purchase of our new home. As our listing agent in the sale of our home, we can sincerely state that Craig was totally committed to making it happen; expending a significant portion of his time, resources and skills in marketing the property and eventually “making the deal” happen. He very clearly had our best interests in mind as he doggedly worked to get us the deal that we felt was right for us. There was never an attempt to push us into a deal that he knew was not true to our needs. He respected our position, set that as his objective, and, with hard work, patience, and perseverance, made it come together as we needed it to. He was instrumental in allowing us to easily make that next step with the purchase of our new home. Through his strong connections to the market, to other Agents, and no doubt through his “always gentlemanly ways”, he was able to renegotiate the sell date, after our sale was already done, in order to provide us with a seamless transition to our new home. We would not hesitate to highly recommend Craig to any prospective seller or buyer. He certainly took care of all of our real estate needs and always did so with an open mind, positive attitude and a smile." 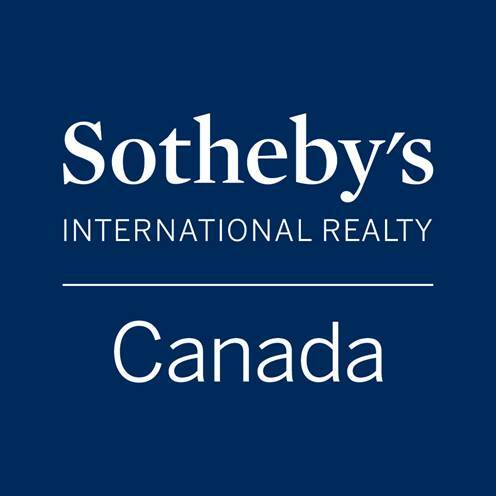 "For three years we have enjoyed the stunning panoramic views over Howe Sound from our West Vancouver home, but we are moving to Europe on relatively short notice and therefore our house was put up for sale. Several realtors said that they had serious buyers for a property in our neighbourhood but Craig was the only one who really seemed interested in matching our need to sell quickly with the buyers' wish to buy a house that would suit them. He explained the realities of the West Vancouver property market at the time and we worked out a pragmatic approach to price our house to sell. The rest is history because Craig has the right contacts with potential buyers and other realtors to generate interest in our house. "Let me be direct and to the point. I did very well using Craig Doherty as my realtor. Friendly, charismatic, and honest, Craig handled every aspect of the marketing and selling of my home in a manner that, quite frankly, I could not get from the other realtors here in West Vancouver. I felt like I had an insightful, experienced and hardworking partner who treated me like I was his only client. I never waited on a returned phone call or a prompt response. When it was time to negotiate with a buyer Craig listened to me and he protected my interest with skilful precision. Craig, truthfully, did everything he said he would do. I am fortunate to have worked with him on what might be the most important business endeavour of my life."